Lyle Coghlin is a Director at CTA Construction, where he focuses on new growth opportunities and strategic initiatives aimed at expanding CTA’s footprint in the institutional and commercial real estate markets. Lyle has more than 25 years of construction management experience and has managed and overseen the successful completion of over 60 residential, academic, commercial and retail building projects throughout the Commonwealth. This expertise gives him an unparalleled understanding of the construction industry in Massachusetts. 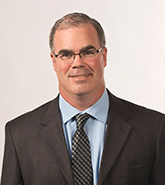 Coghlin is a co-founder of CTA Construction and was a Principal for 17 years. Patrick Tompkins is a Director at CTA Construction, where he develops and executes strategies to assist CTA in expanding its footprint in the commercial and institutional real estate markets. 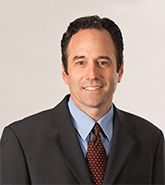 With more than 25 years of experience in the construction industry, Patrick has developed a deep knowledge of the construction and real estate landscape in Massachusetts. Patrick is a co-founder of CTA Construction and was a Principal for 17 years. During that time, he was responsible for more than $1 billion in completed construction projects. 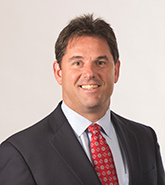 Jeffrey Hazelwood is a Principal of CTA Construction. He draws on over 25 years of construction management and engineering experience and oversees all aspects of the firm, including day-to-day operations, project development, estimating and purchasing . He places a high priority on attention to detail, integrity, strong organizational skills and work ethic – values he has instilled in the culture of CTA Construction. Jeffrey is a former CTA Project Executive and Vice President. Under his guidance and leadership numerous CTA projects have been recognized with industry awards for construction excellence, including “Project of the Year” recognition from American Public Works Association. Paul DuRoss is a Principal of CTA Construction with over 23 years of experience in the industry. 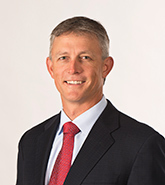 Throughout his career with CTA, DuRoss has held the positions of Vice President, Project Executive, Project Superintendent and Project Manager, which provided him with the experience, skills and knowledge necessary to manage and deliver logistically complex projects that require intensive coordination. As a Principal, Paul provides leadership and oversight of some of the firm’s most challenging projects. He specializes in building strong relationships between clients, construction teams and owner’s representatives. His projects have consistently received accolades and are recipients of numerous prestigious awards, including a “Building Project of the Year” award from the Construction Management Association of America.